We always have to eat something because that gives good taste. Sometimes we eat for health care and sometimes just casually or for a time pass. There are varieties of food, both vegetarian and non-vegetarian. But, sometimes they prove harmful besides being tasty and good for health. Why? It is just because of wrong combination. It is something like drinking coffee along with coca-cola. How do you feel if the combination is left only to your own imagination. Taking food with wrong combinations will lead to disorders like, vomiting and indigestion. One of such combinations that should be avoided totally is, combination of milk with any other improper food item. Milk never combines well with any other food. It is a complete food in itself. It requires a full digestive process of it’s own. Foods like meat, eggs, cereals, pulses, nuts , roots or fruits should not be taken with it. Milk is a different protein than other proteins like egg, meat, nuts and pulses. It does not digest in stomach but in duodenum. Hence in the presence of milk, stomach does not respond with its secretion. 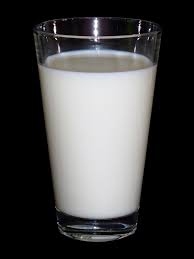 Milk hinders the digestion of starchy foods. As it is liquid, it will not go friendly with other foods. Therefore, one should eat solid food and take milk separately. On reaching the stomach, it reacts with protein and fat contents and coagulates to form curd. This curd gathers around the particles of other foods. It insulates them against the gastric juices and prevents digestion till the curd is digested first. 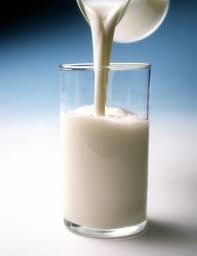 The combination of milk with other foods is one of the main reasons for indigestion. Server responsed at: 04/25/2019 4:27 a.m.